Hi everyone! I've started my new year off right with a head and chest cold, so I just have a quick post for you today. 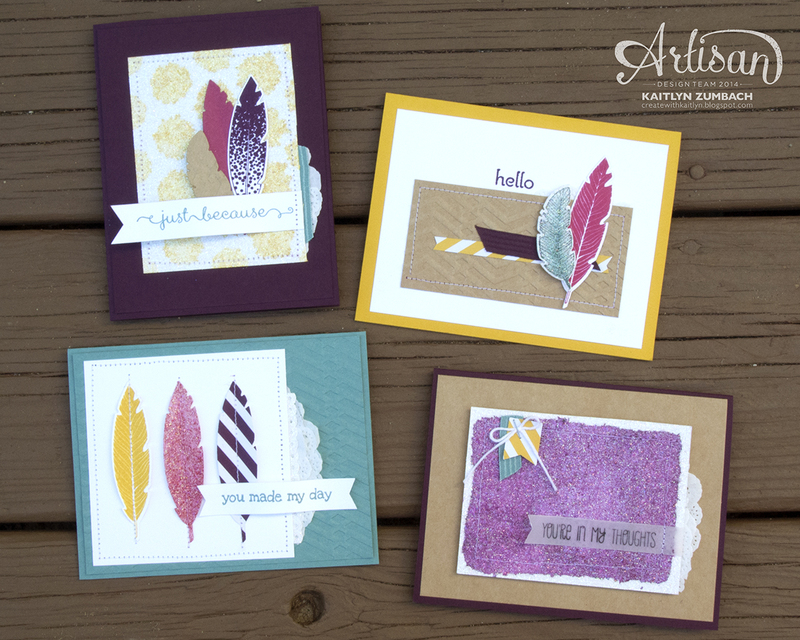 As part of the Artisan Design Team I get to do a couple of blog posts for the Stampin' Up! blog. My first post was actually quite a while ago, but I never told you all about it. My post was all about coloring the Dazzling Diamonds Glimmer Paper, and I made some pretty darn cute card with the Four Feathers stamp set. You can check out the post here for all of the details. Let me know what you think!